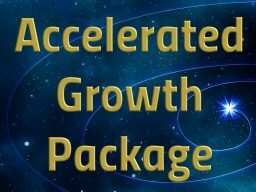 Ready to shed limitations… know who you REALLY are… and what you came to Earth to do? Then it’s time to meet the best part of you—your Divine Soul! Transform your Inner Critic into EMOTIONAL FREEDOM. Get clarity and emotional courage beyond your wildest dreams. You also know you can prosper in ALL good things including money, relationships, and self-expression. Your Inner Critic can hold you back. It doesn’t allow you to move forward in a way that brings you the true joy you yearn for. It means you’re ready to let me help you dive deep into your Divine Soul Knowing. Consider it your origin spark of self-awareness, the most powerful aspect of you. It’s what’s inspiring you to make a positive difference in the world. It’s powerful beyond your ego-intellect’s human comprehension. 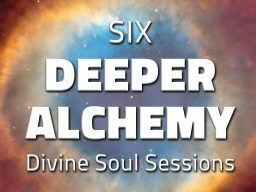 During the session, I’ll open up a direct conversation with your Divine Soul. From there, your Divine Soul will guide me in asking the right questions and trigger thoughts to use with specific vibrations of Unconditional Love. What comes next are new depths to your emotional freedom… crystal clear clarity… and a concrete action plan for fuller expressions of your glorious Light. Seeing positive results happen before my very eyes—time and again—confirms how difficult we make it on ourselves. And how powerful our Divine Souls are when combined with the conscious use of Divine Light’s vibrations of Unconditional Love. Going deeper means richer results. The thing to remember is this: The Principles of Unconditional Love are concrete and universal in nature. They’re infinite in how and where you can apply them. For a handy reference, get my book, HOW TO MAKE THE MOST OF YOUR EARTH EXPERIENCE (14 Principles for Living Unconditional Love). Learn how open a conversation with your Divine Soul. Know the right questions to ask… and understand the answers. Remember and fulfill your Divine Soul Mission. Stop tripping your entrepreneurial self up and holding yourself back. You want clarity—and courage—to take those steps into new territories. Take your spiritual discipline to deeper levels so you can attract new clients, and serve them better than ever before. Incorporate new spiritual reawakenings into both your business AND personal life. Manifest a BIG goal into concrete reality. One that seems too esoteric to be real to the people around you. You want someone who can help you navigate your way to making it happen. Clarity while facing a big life decision or transition. You want to move through it with confidence and grace. Stop struggling with a poor body image. Enough already, it’s exhausting! You’re ready to fall in love with the beautifully miraculous container that allows you to have a life experience here on Earth. Shift a relationship that isn’t doing anybody any good, but you don’t know HOW. Find a way for your human ego-intellect to trust your Divine Soul knowing. Especially when you pose a big question to your Divine Soul, and you just can’t manage to understand Her/His response. A session would be like holding someone’s hand in the dark until you find your orientation. Have a deeper understanding on why you keep meeting obstacles while trying to accomplish a goal. And what you can do to turn that around in directions you want your life to flow. Satisfy your curiosity to see what going deeper looks and feels like. You’re drawn to new horizons… new multi-dimensions of Unconditional Love… and get jazzed by the new discovery it promises. I RARELY tell you what to do and NEVER try to make your decisions for you. Rather, I help you hear your own Divine Soul guidance. After all, She (He) knows you better than anyone, including your ego-intellect’s concept of you. Plus, it’s super important that you stand in your own innate power so you can freely manifest the fulfillment of your deepest desires. The Principles of Unconditional Love are UNIVERSAL. Where and how you can use them for concrete results is INFINITE. Partner with your Divine Soul Knowing… and you’ve got NO LIMIT LIVING. A Divine Soul session with Glenn was a beautiful experience. Working with the vibrations of Unconditional Love is a sweet and delicate process. Inner conflict and resistance melts away so you become more aware of your true Divine self. With her guidance, I let go of a pain that I’ve carried inside of me for a long time. Afterwards, I felt lighter and more grounded in the present.Thank you from the heart! 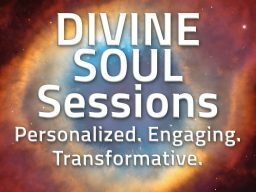 Ready to know YOUR Divine Soul? If you still need to stick your toe in the water to check the temperature, let’s meet up on Skype for a quick “Getting to Know You” chat. I’ve come to help you remember your Divine Soul and how to use the transformative power of Unconditional Love so you can express yourself fully, freely, joyfully, joyously with no limits. You’ll become a Waymaker to others by your shining example. Let me help you systematically live YOUR Divine Soul purpose and dreams, too! 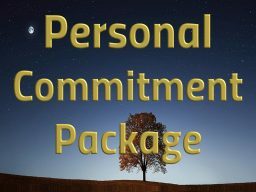 I have different Divine Soul Coaching Packages for you to choose from. Re-shift your focus towards hearing and understanding your Divine Soul Knowing. Multi-dimensional memories of my life before I was born into my human body. Remember, your Divine Soul knows exactly what it takes to fulfill of your Divine Soul Mission. She knows what comes next for your fullest expression of inner peace, happiness, and prosperity. And is ready to guide your ego-intellect with a happy dance of pleasure.